The precision-crafted, laminated wood stock Venom Xtra is created for the discriminating hunter, shooting enthusiast, or collector who demands the best. 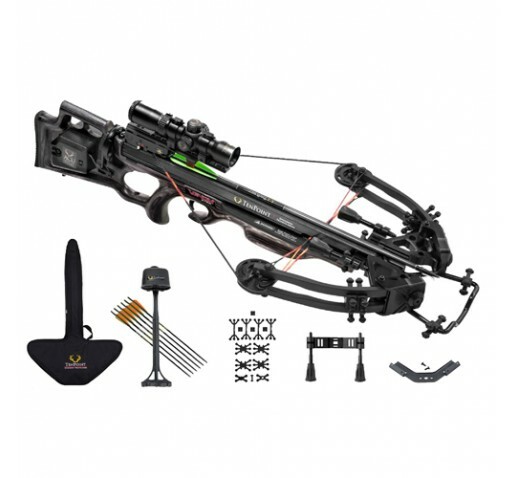 With its classic, heirloom-quality stock, woven carbon fiber barrel and XLT bow assembly, it establishes a benchmark for crossbow aesthetics and performance. - Length with Stirrup: 35"